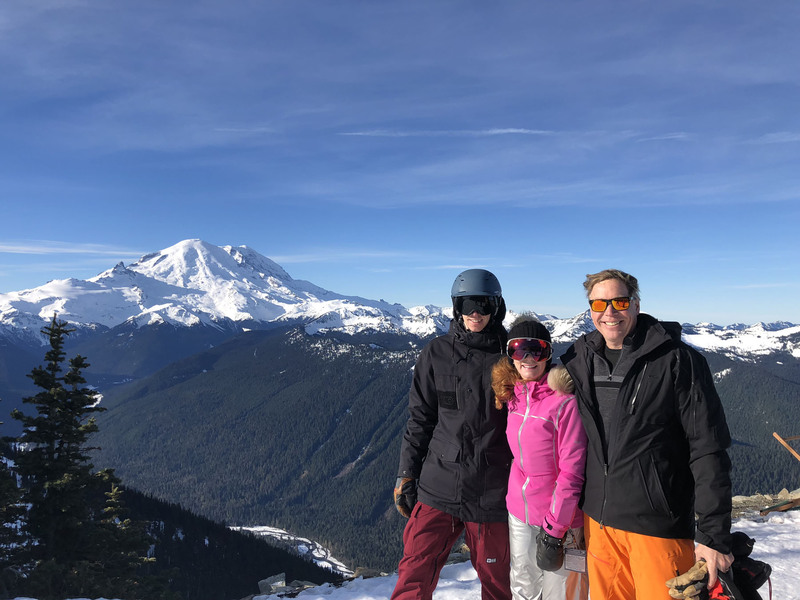 January 23, 2018 / Family Ski Trips / Comments Off on Why We Ski? 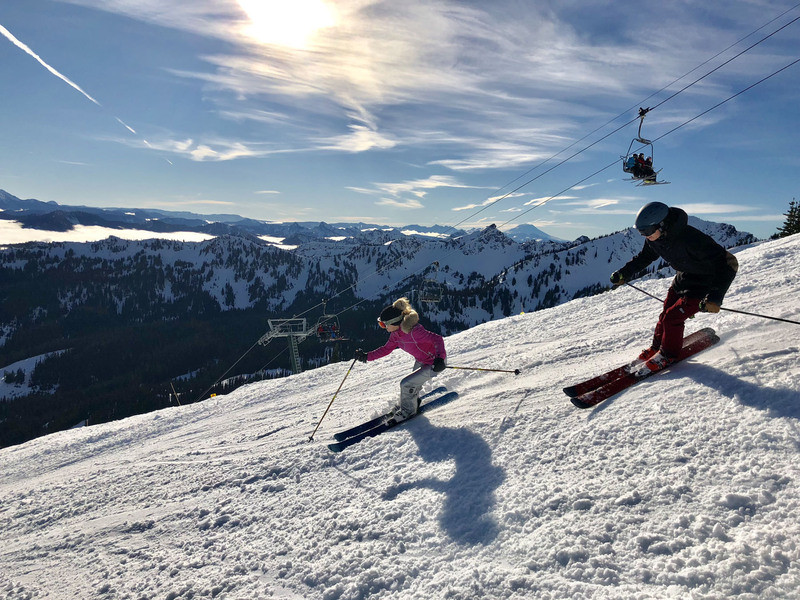 Ever since our kids were three, skiing is the one thing we could all do together … I can’t name another sport or activity that provides us all with excitement, fun, healthy exercise, laughs, stories, memories, and love. We can’t play football together – too rough a sport, and family game night inevitably ends in someone winning and by default – others losing. Perhaps we’re too competitive for cards and board games (being a writer, I want to school them all in Scrabble). Back to skiing, we each have our individual experience on our skis, our own signature turns on the snow, but simultaneously it’s our collective shared experience. Together, we brave the cold, breathe in the spectacular scenery, actively pursue nature’s glory, conquer the mountain, leave our tracks, keep our memories. Yes we could all be sitting on a beach together but where is the adrenaline adventure in that? I picture my husband and son glazing over, my daughter and I burning to a crisp… gingers! 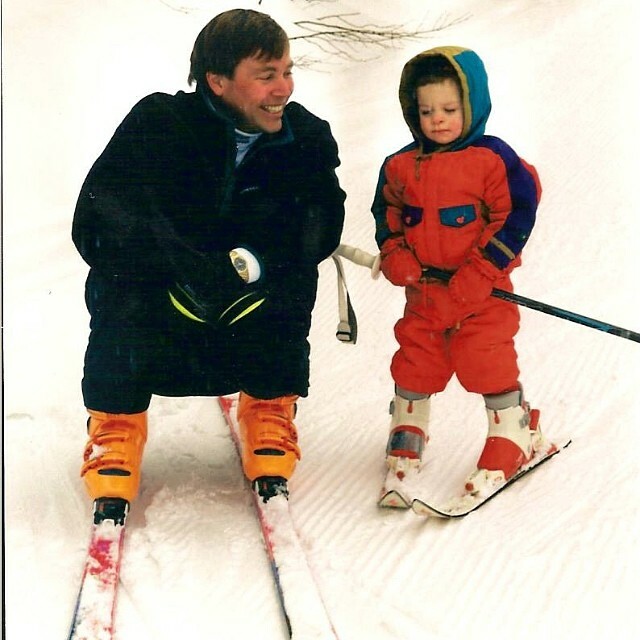 As I reflect on raising our kids, I am flooded with fun memories – many of them skiing. 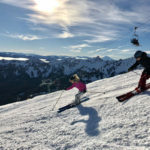 I remember the joys (and concerns) of starting them on snow when they were so little, and the ensuing accomplishments, pizza pie to French fries, Ian’s first non-stop bump run at Vail, Aspen’s Prima Cornice cliff drop that same day. What a fantastic family day that was! Skiing the snow and sun soaked trees at Steamboat, the four of us in perfect synch, I can picture it still like a snow globe. If I say the words “Canis Lupus” the kids will grin at our fun twisty gulley run down The Canyons trail through the woods at Park City. Cat skiing in Idaho was amazing with a fun bunch of adults, and our mature-beyond-his-years son who impressed the posse with his skill, vocab, and worldliness. I could go on for days recounting our downhill adventures. 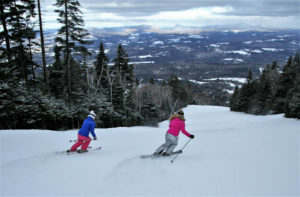 Our skiing adventures have already spanned three decades, and three generations. 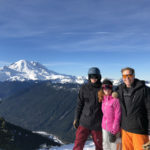 We’ve skied with Greg’s Dad, my Dad, Greg’s uncle, his brothers – who share the passion, my mom who still rips, and my brother Brian (who makes snowboarding look like poetry btw – and can switch to skiing in a mountain minute) all together with our kids – who are now grown, independent, and still love to ski. … with us! They buy their own season passes now, a true sign of commitment and addiction to the sport! 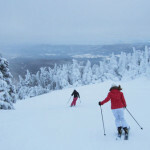 We can reconnect at ski resorts and have a real adventure together leaving everything else in our sparkly snow dust. I also believe you can enjoy skiing among multiple ability levels. 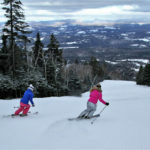 We don’t all ski the same, we have different skill sets and terrain preferences. 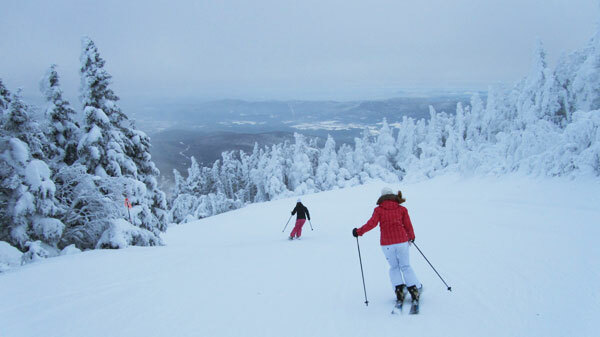 I’m nostalgic just reflecting on our trails choices over the years, bumps, trees, steeps with the kids… Anyhoo… most ski resorts allow us to indulge our faves: moguls, glades, groomed or untracked powder, often all from the same lift. So Jack can ski Black, Jane can ski Blue, and Jill goes Green and we can all meet at the lift for the conversational ride back up together. At minimum we can meet for lunch and at après ski to share our day’s stories of wind blown pow, wipe-outs and wicked good lines. So back to our trip to Seattle, Washington, and what to do together as a family? The beauty of this part of the world, The Pac Northwest, is its plethora of big mountains, in surprisingly close proximity to the city and the sea. Summit at Snoqualmie and Crystal were both calling us, just over an hour away… how could we not want to ski? We “4 skiers” (my license plate for many years – till it became a problem – separate blog) all enjoy exploring new mountains, making tracks and carving our names on spectacular s ummits all over the country …. It’s what we do, and we can do it together. 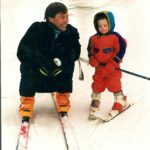 I hope we can share our family’s love of skiing with others, with our kids’ loved ones, their future families, as our parents did with Greg and me. 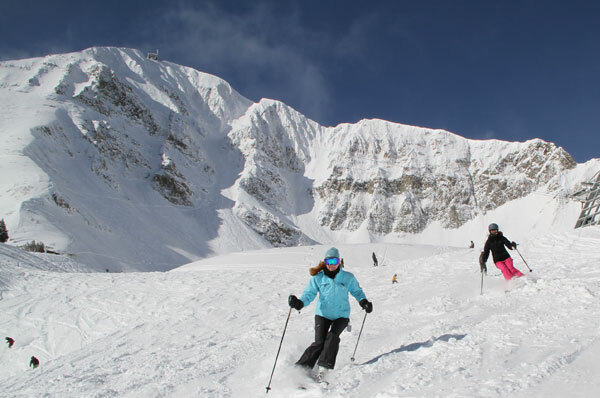 I hope to ski with my mom and my kids again…as we did in Big Sky Montana a few years ago… that was magical to me. 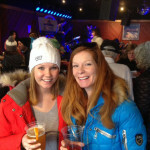 Just last weekend, we met up with our daughter Aspen and her friends at Sunday River. We shared a few laps, and lots of laughs. 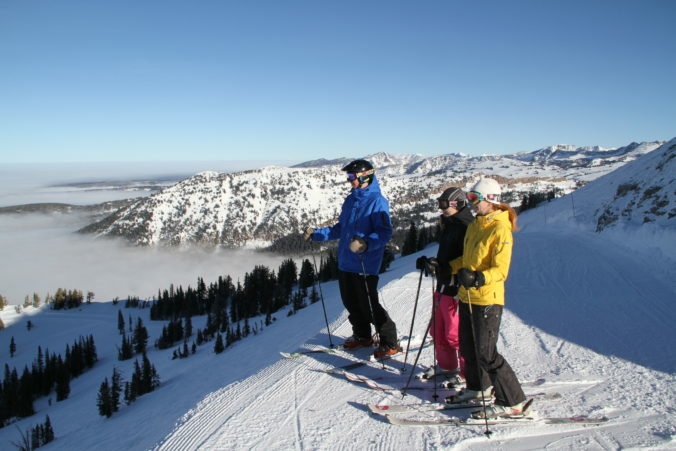 Skiing with family and friends is social, stimulating, and creates a bond like no other. Let me know if you find one better? I received a joyous note from a best gal pal who’d re-joined the sport last week with mutual friends. 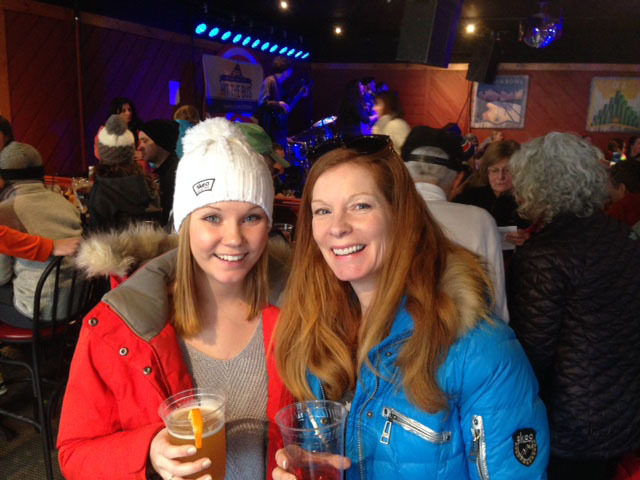 The enthusiasm in her voice was palpable, how she loved skiing, loved that she could do it with her husband and our mutual friends. Their picture from après ski told the story of their collective fun, accomplishment, and enhanced friendship shared over a sport. We will continue to love skiing as our glue!